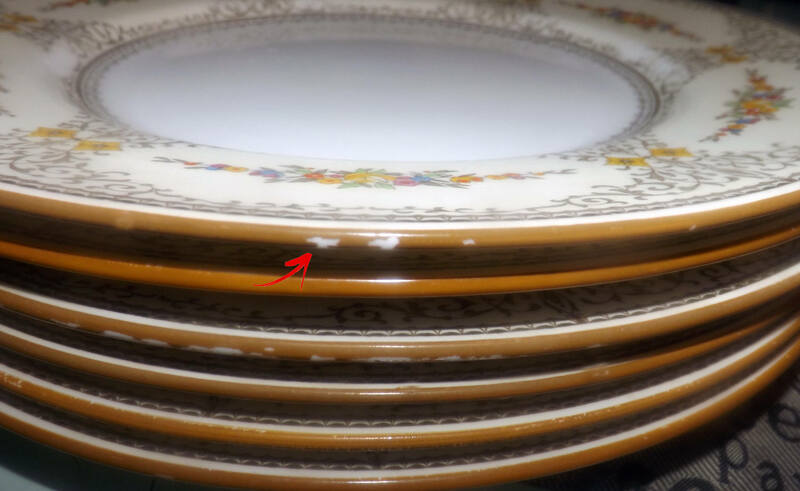 Antique (1910-1919) Minton Sheridan hand-painted, numbered dinner plate | charger. Florals, brown scrolls, edge. 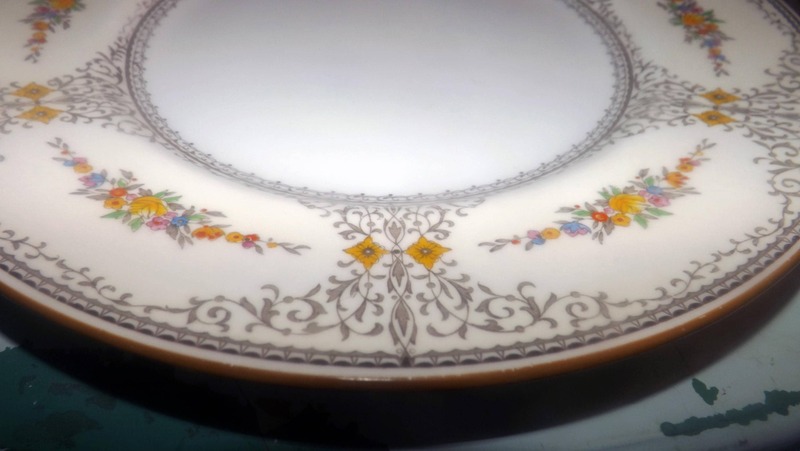 Almost antique (1910-1919) Mintons | Minton Sheridan B1227 pattern hand-painted, numbered large dinner plate or charger. 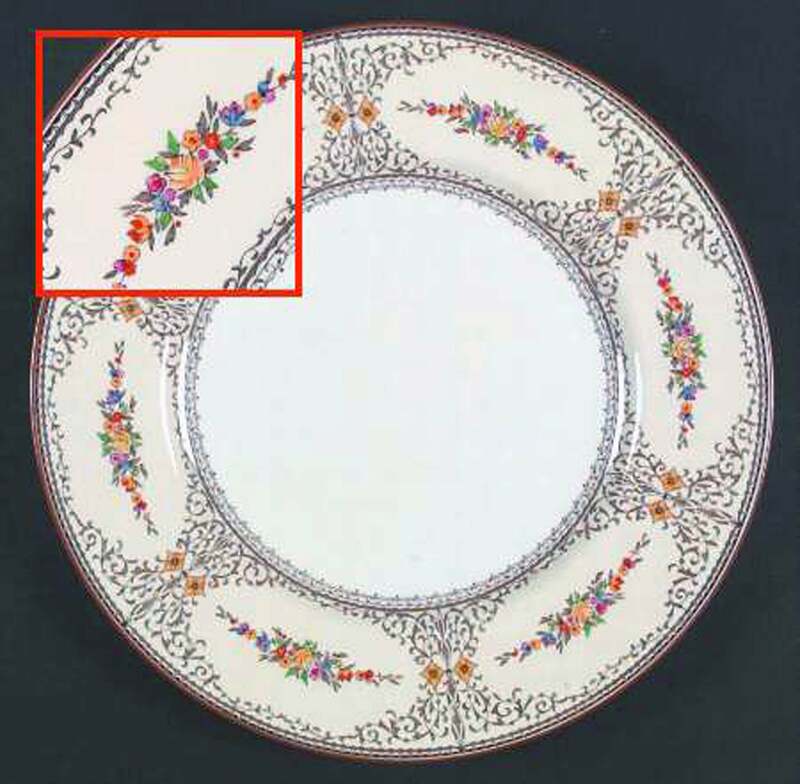 Extremely hard to find, Sheridan features multicolored florals in predominant shades of pink, yellow, blue and red with pops of greenery and a proliferation of both gold and brown scrolls set into a light yellow band and a smooth, brown edge. In EXCELLENT! and seemingly little used condition with NO! chips, nicks, cracks or fleabites, NO! crazing and NO! marks or stains. To our eye, there are NO! scratches to the plate surface or pattern. Having saiad this, please review each of the posted photos for a complete visual of the item. The hand-painted artwork is bright and vibrant with NO! fading or wear apparent. 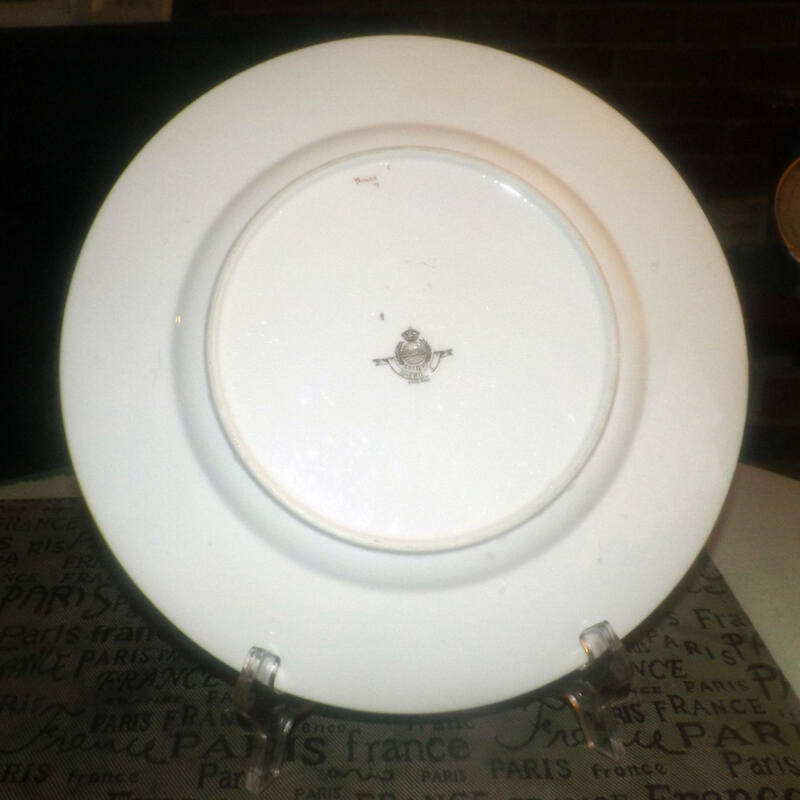 One dinner plate is available with a couple of minuscule nicks to the smooth, mustard edge and this plate is offered at a reduced price (please review the photos for a view of the affected area on the one plate). Artist's mark - B1227 - in red to reverse, as well as both the stamped and impressed Minton marks for the period in brown. Approximate measurements: 10-1/2" in diameter (measured edge to edge) with a smooth edge. THIS LISTING IS FOR ONE (1) PLATE. Currently, more than one plate is available in the shop.